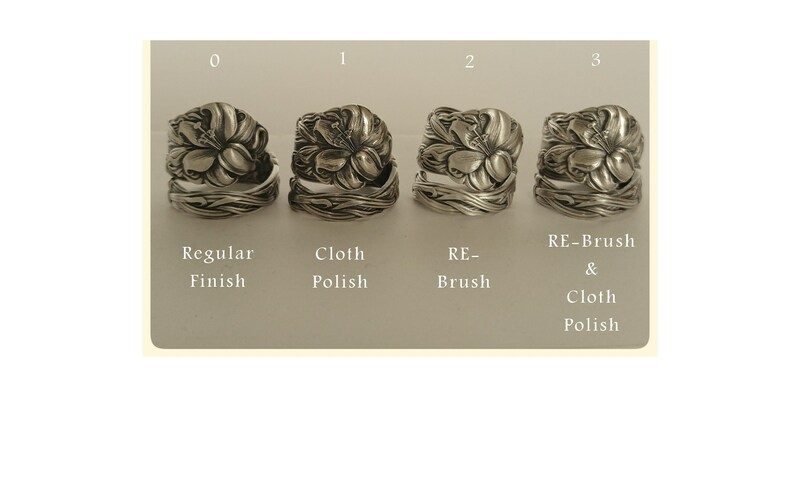 Beautiful Daisy spoon pattern by International Silver Co! 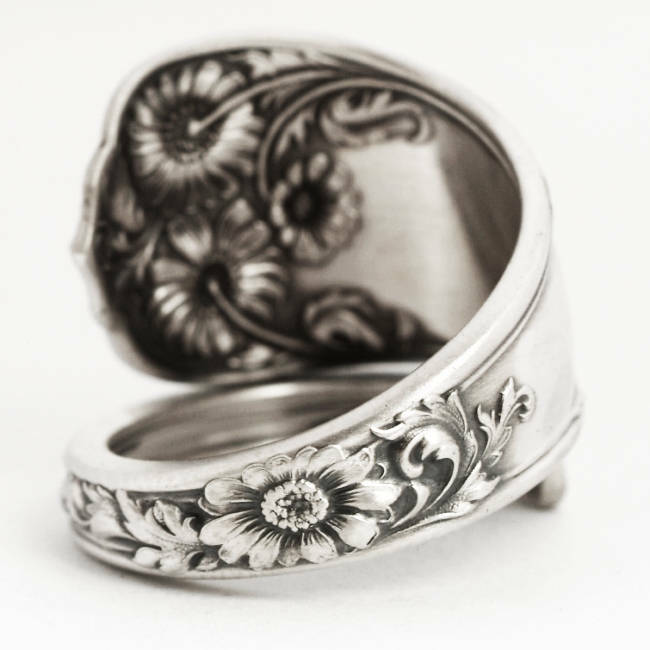 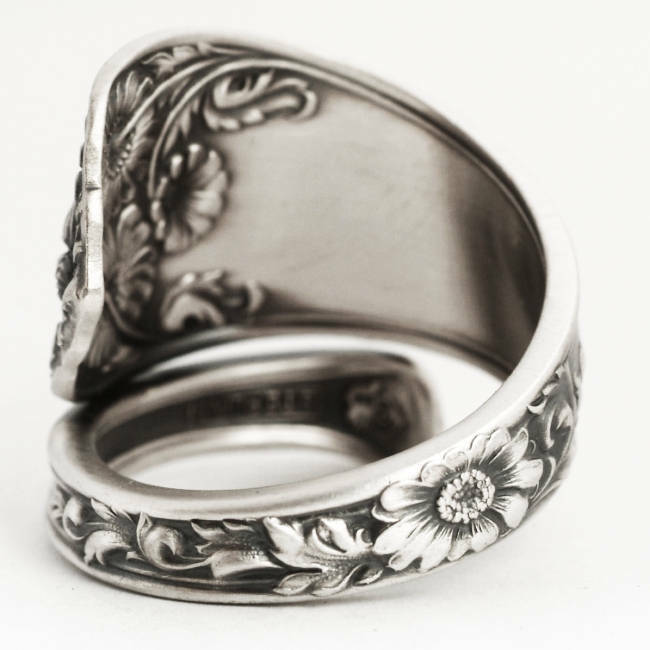 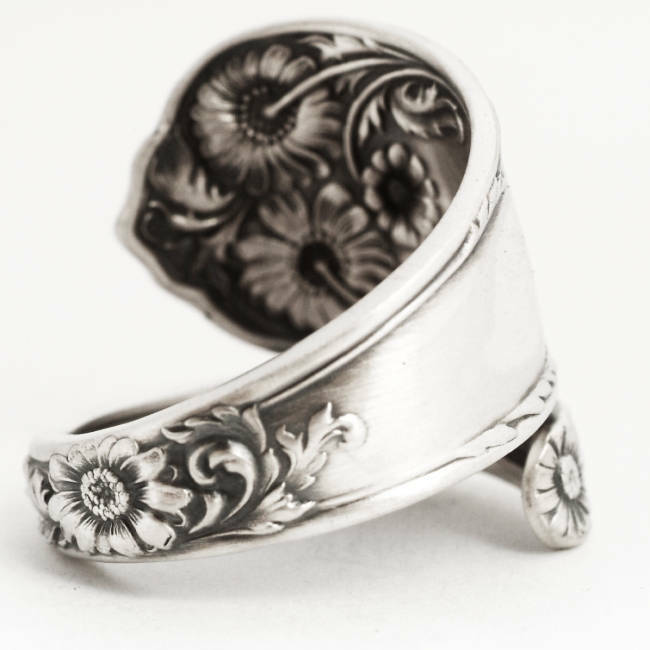 This small sterling silver spoon ring is very unique and just gorgeous! 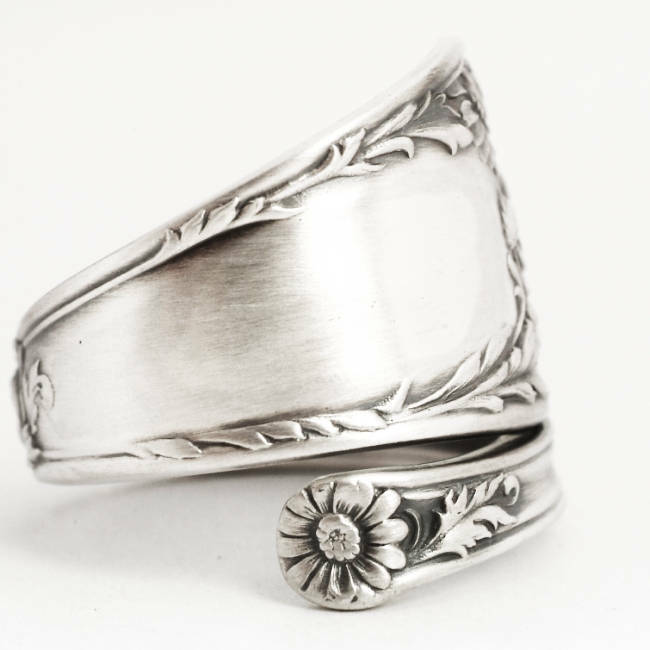 Done in classic Art Nouveau style, the spoon has 2 highly detailed daisy flowers we've never seen before! 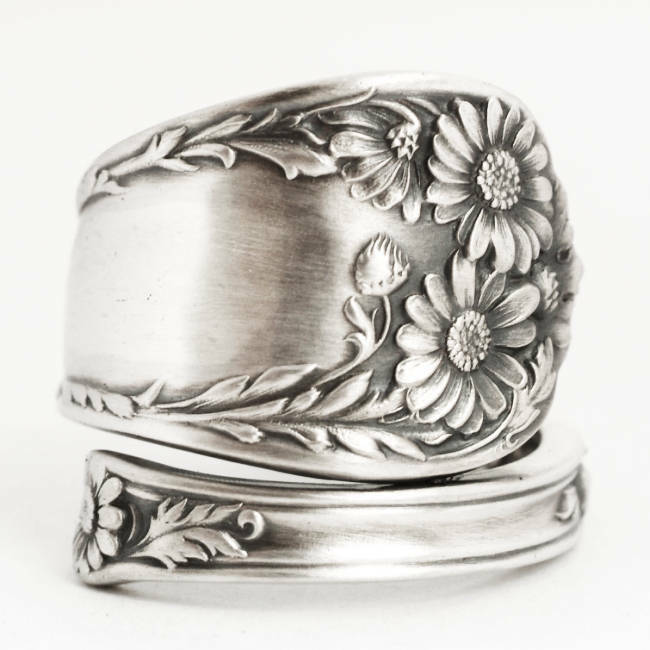 This antique spoon was manufactured by International Silver Co in 1912, named, "Wellesley". 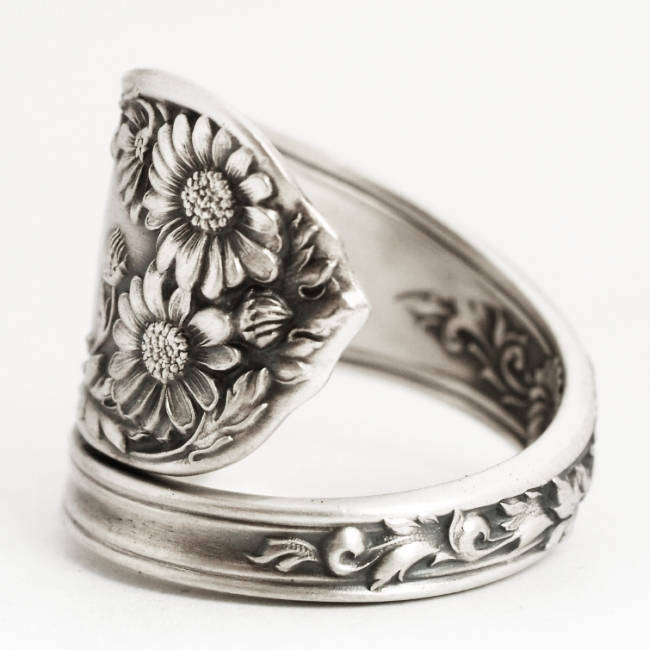 The Daisy flower is traditionally associated with innocence, purity, loyal love, simplicity and patience! 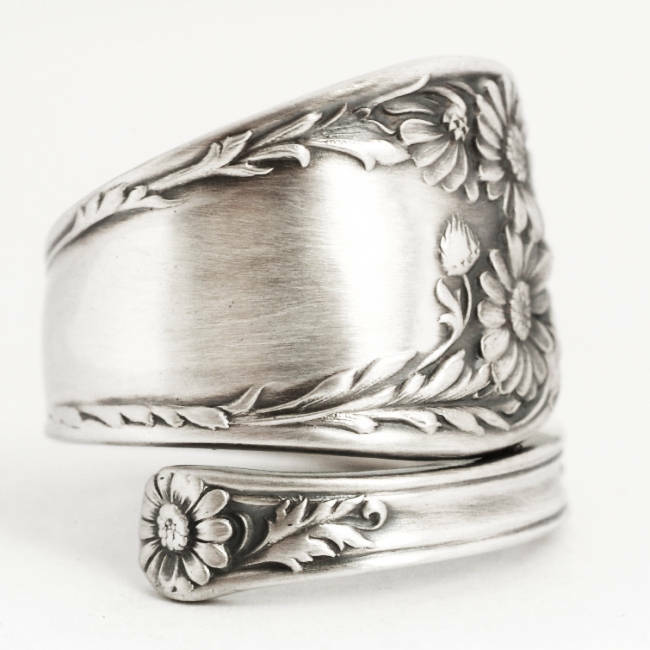 And the Daisy is the official 5th Anniversary Flower!